You are here: Home › Salut competition › Guess the Score › Sunderland vs Scunthorpe United prize Guess the Score: more goals for Maja? The congestion of this week and next – with games tonight, Sunday and next Wednesday – means there’ll be an awful lot to fit in over the coming days. So apologies for Guess the Score for SAFC vs Scunthorpe appearing now. The same applied to the Scunny “Who are You?”. At least there’ll be plenty to read between now and this time next week. We can but hope it will all be positive. As for Sunday’s game, we simply invite readers – whoever they support – to have a go at predicting the scioreline. Our Scunthorpe interviewee, Matt Blanchard, went for 2-2. We will be hoping for at least those two home goals – John Maja has Salut! Sunderland’s express permission to add to his early tally – and fewer than two for the opposition. If you get to the game, treat yourselves to a matchday programme. It has already gone to print (though we aren’t sure if there’ll be scope for a post-Sheff Wed update) and Pete Sixsmith has an admirable piece in it. Well done Malcolm – the rest of us needn’t have bothered – done and dusted first post. I’m as optimistic as the first two posts but have to stick with 2-0. Now into my third (or is it 4th?) season with it and no mug yet. For those of us who can’t make the game, are you allowed to reprint Sixer’s piece anywhere? 007’s brother (or is it sister?) has nicked my normal prediction of fower nowt so I’ll go for fower plus one equals five nowt. An equally optimistic, but more modest, 2-1 to SAFC. 3-1 win to the lads. Goals and chances are a rare commodity for us. 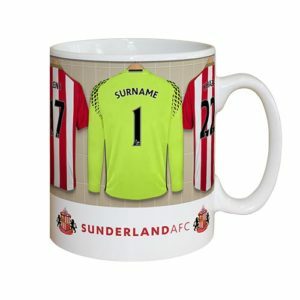 Sunderland 4 – 1 Scunthorpe, but no clean sheet or sensible prediction!! !.